It's time for me to walk through a different door. Today is my last day with Prosperity Ag & Energy Resources. My summer has flown by so fast! Thursday I return to school to complete my senior year of college at IUPUI majoring in elementary education. For the fall semester I will be student teaching 6th grade at The Center for Inquiry Indianapolis Public School #84. I am excited about starting my senior year of college and like my summer I know it is going to fly by. Through my internship with Prosperity I have gained a confidence in myself that will definitely help me in my student teaching. My writing has matured this summer and will help me write those college papers! I have also developed my social networking and people skills which will not only help me in the classroom but outside as well. What I'll miss most about Prosperity is the office staff. I had so much fun getting to know and work with them. I loved Wine Wednesdays, talking about the agriculture industry, praying for rain and then leaving the office door open when it finally did rain so we could hear, watch and smell it. I look forward to staying connected with them and staying up to date with what is happening with Prosperity after I walk out the door. The Central Indiana Food Hub was featured in the National Good Food Network (NGFN) Food Hub Collaboration Newsletter - July 2012. The Newsletter goes out to food hub supporters and managers to give updates on food hubs. A food hub feasibility study, managed by the Hancock County Purdue Extension Office and Prosperity Ag and Energy Resources, is underway in Central Indiana. More than 100 producers from around the state have already interviewed for the study, including producers interested in growing specialty crops and producers currently row-crop only. Purdue Extension Educator Roy Ballard, leading the process, has been hard at work educating the public and stateholders about food hubs through social media and local news outlets. Find out more on their Facebook page. This picture shows droughts in the U.S. dating back to 1896. This year's drought is now being compared to the drought in 1934 during the Dust Bowl. More than half of the country was under moderate to extreme drought in June, the largest area of the contiguous United States affected by such dryness in nearly 60 years. Nearly 1,300 counties across 29 states have been declared federal disaster areas. Areas under moderate to extreme drought in June of each year are shown in orange below. (2012). Droughts Footprint. The New York Times. Sarah Aubrey, Principal of Prosperity Ag and Energy Resources was featured in the local Morgan County Indiana newspaper, The Reporter Times. Sarah discusses her company, Prosperity Ag and Energy Resources and describes her books, "Starting & Running Your Own Small Business" and "The Profitable Hobby Farm." Both titles are available for digital downloads on popular sites such as www.amazon.com, Barnes & Noble and others. MONROVIA — Sarah Aubrey’s books draw from her extensive experience in agriculture and as a successful entrepreneur. Now her books are available in digital format, making it easier for potential clients to gain insight into her expertise. Aubrey is the owner of Prosperity Ag and Energy Resources, founded in 2007 and located in Monrovia. The small business is a full-service funding opportunities firm that helps agricultural, renewable energy and local foods businesses obtain funding through government or foundation grants. Using Aubrey’s unique experience, the company is able to seek out and secure funding for grant proposals across Indiana and the United States. As the sole owner of Prosperity Ag and Energy Resources, Aubrey knows how important it is to have a strong online presence in order to grow. The grant business utilizes several technologies in order to reach current and new clients, including Facebook, Twitter and its own website, which will soon include a way to purchase Aubrey’s books. The local author writes how-to books for small farm entrepreneurs. 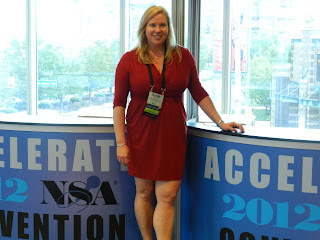 July 14-17 Sarah Aubrey, Principal of Prosperity Ag & Energy attended Accelerate 2012- The 2012 National Speakers Association Convention at the JW Marriott in Indianapolis. 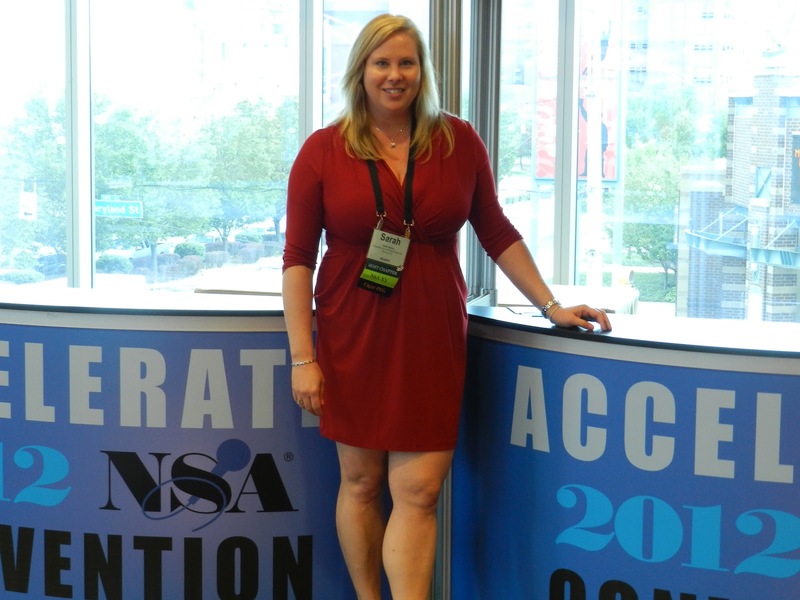 Sarah is a member of the National Speakers Association (NSA) Indiana Chapter. Sarah says, "I particularly benefitted from the Foundation Seminar on Saturday, July 14th for Publishing in Today's Market. Networking with fellow generation X and Y members through the NSA XY lunch on Monday was great. Best of all meeting Jeanne Roberston and sitting down with the tall women's Professional Expert Groups was a blast." "Why, the land is the only thing in this world worth workin' for, worth fighthin' for, worth dyin' for, because it's the only thing that lasts." Gerald O'Hara said these words to his daughter Scarlett in Gone with the Wind. This one sentence holds with it the passion for the land that Mr. O'Hara instilled in his daughter. Throughout the movie you see Scarlett learn to love the land and understand what her father wanted her to feel for it. Tonight during the office staff's Wine Wednesday we are watching the movie and discussing our own passion and love for the land. For those following the progress of the feasibility study underway for a possible food hub in Central Indiana, the first draft has been written and is currently under review by the Committee. Following this review, there are additional pieces of work to be completed during July and early August. The final study will be given to the Committee for approval on August 10th. Don’t forget, all members of the public are invited to see the study presented on August 21st at 7 p.m. at the Greenfield Banking Company, 1920 North State Street Greenfield, IN. Roy Ballard, Extension Educator, Agriculture & Natural Resources Hancock County was interviewed by Dig IN - A Taste of Indiana. Dig - IN is an event that will feature individuals in Indiana agriculture on Sunday August 26th at the White River State Park. Roy will be attending the event to speak about the project. You can read the interview and order your tickets to hear Roy speak here. 3M, Amazon Kindle, Apple (iTunes Bookstore), Barnes & Noble (Nook), Baker & Taylor (BLIO), Bookish, Ebooks Corporation, EBSCO, Google Play, Shortcovers (KOBO), Overdrive, Sony, Scribd, Zinio. 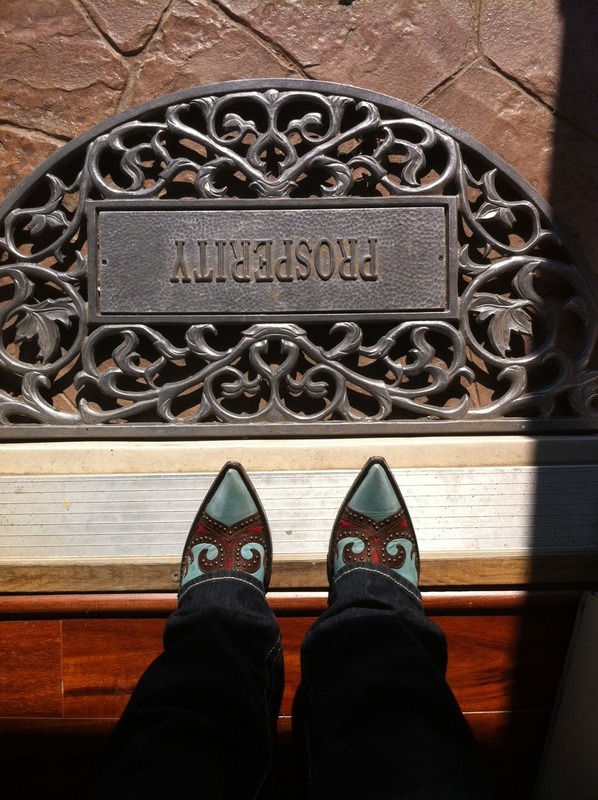 It has been 64 days since I walked through Prosperity's door to start my summer internship. I cannot believe that it is July and summer is almost over. July 31st will be my last day here at Prosperity. I have to go back to school on August 2nd to start my student teaching. I will be a senior at IUPUI majoring in Elementary Education and will student teach 6th grade at the Center for Inquiry IPS #84 in the Broad Ripple area. I am nervous excited about this new adventure. I am also sad to be leaving Prosperity. I have learned a lot during my internship. I have also created relationships with the staff and look to them as mentors and friends. We have had so much fun during Wine Wednesdays, hot summer days without the AC, staff meetings, sharing stories, and laughing at each other and ourselves. One of the things that I have enjoyed most about my internship is posting on this blog. Every Wednesday and Friday has served as a creative outlet for me. 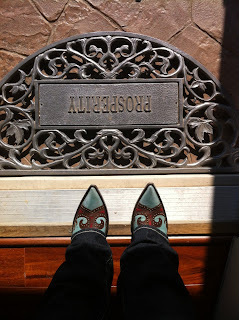 I have so enjoyed writing and taking pictures for the posts each week. I am also glad that I had the opportunity to be involved with the Central Indiana Food Hub Feasibility Study. I did not know what a "food hub" was when I came aboard the project. I am a firm believer in good communication between the farmer and the consumer. I think that a food hub is an ideal way for that communication to happen successfully. Another thing that I have enjoyed about my internship is the passion for agriculture that I share with the Prosperity staff. I love the conversations and stories that we have shared about growing up in the industry and how much it has influenced us to be the people we are today. I hope you all have enjoyed reading my What's Happening Wednesday and Photo Friday posts and that you continue to stop by and read the blog. Please continue to pray for rain and the farm and ranch families that need it most! On the farm there is always a new life. Outside Prosperity's office there are puppies, calves and kittens. They keep things young and interesting around here. They aren't bad to look at either! Have a great weekend and continue to pray for rain! 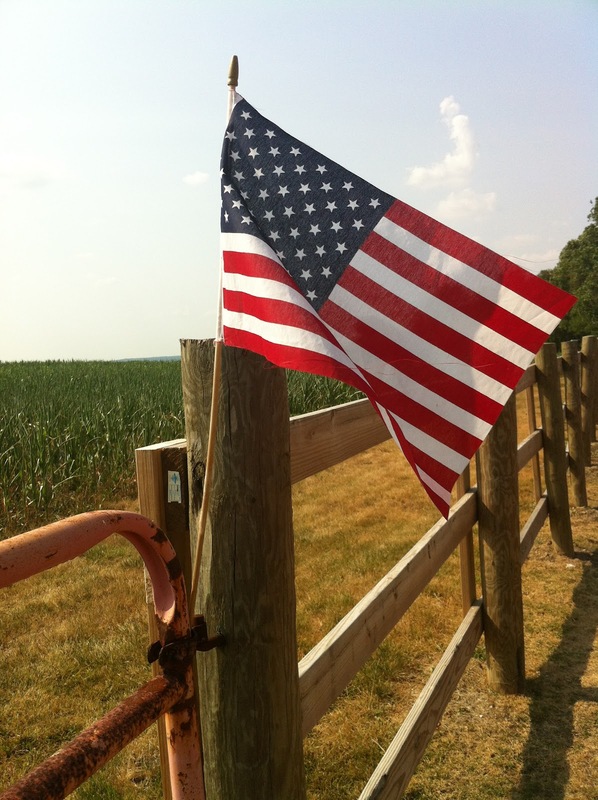 On this 4th of July holiday I am reminded how blessed I am to live in America and have the opportunity to know some of the most valuable citizens, the American Farmer. I hope everyone has a great 4th of July and please continue to pray for rain! God bless America and the American Farmer! Prosperity Ag and Energy Resources is now a division of Prosperity Consulting, LLC. We are a full service funding opportunities development firm that works with state and federal agencies across the U.S. in the areas of grant writing, guaranteed loans and networking investors with projects. Prosperity Consulting endeavors to strengthen communities, empower entrepreneurs, and foster growth for farms and businesses by providing speaking and training, digital product resources and by searching for grants then writing successful proposals that enhance cash flow, create jobs, and nurture urban and rural environments. Prosperity's own Sarah Aubrey named to IBJ's Forty Under 40! Copyright © 2010-2012 Prosperity Ag LLC. All Rights Reserved. Picture Window theme. Powered by Blogger.